Checkweigher System | Inspection Systems | Weighing |ZF|ZF Associates Co.
Checkweigher system model AD-4961-600 check weight up to 600g. Checkweigher system model AD-4961-2KD check weight up to 2Kg. 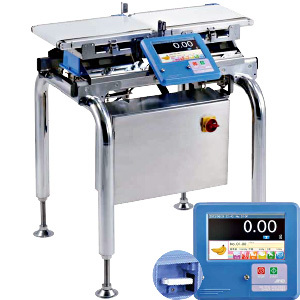 Checkweigher system model AD-4961-6K check weight up to 6Kg. High speed inline checkweigher system that’s been specially designed to weigh, classify and segregate products based on weight. Its Japanese design provides high-level performance, accuracy and reliability, making it easily adaptable to existing lines. 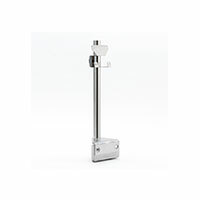 provides accurate weighing with simple and intuitive operation. With this high accuracy checkweigher system, you can minimize the giveaway of materials above the specified weight and contribute to reductions in production costs. *2 Values for external dimensions and weight are for standard conditions without rejector. *3 USB memory must be formatted to FAT32. *4 Please prepare a Φ4-7mm power cable. 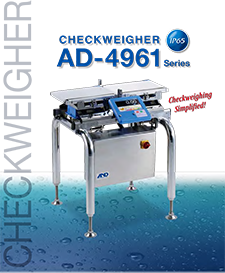 Checkweigher system model AD-4961 consists of four units: an infeed conveyor unit, a weighing conveyor unit, a control unit and a base unit, allowing fast and simple assembly. This checkweigher system is Equipped with Modbus RTU/Modbus TCP as standard. With Modbus communication, seamless connection can be easily achieved. Operations such as stopping and starting weighing, collecting data and changing product can all be set from an external device. The display is attached on the opposite side from the standard display position, across from the user. The display is located approx. 310mm above the conveyor belt. Highly visible three color LED tower light. 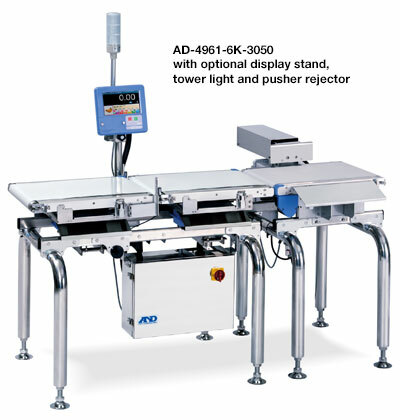 Easy configuration with the AD-4961 checkweigher using DO (Digital Output) map setting. 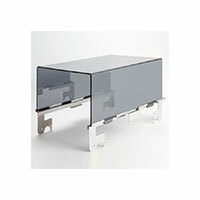 *AD-4961-01 display stand is required to install this option. *Dust and water resistance level is IP53. Anti-static breeze break prevents air currents to the weighing conveyor and static electricity to achieve accurate weighing. Clearance between the conveyor belt and the breeze break is 135mm. Use together with the lower breeze break is recommended. *This option is for AD-4961-2KD-2035. Prevents air currents from underneath the system to ensure accurate weighing. Use together with the upper breeze break is recommended. Eliminates gap between infeed conveyor and weighing conveyor and conveys products smoothly. Suitable for weighing small products. Installed on both infeed and weighing conveyors. Adjusts products to be conveyed on the center of both conveyors. Applicable product width is from 50mm to 100mm. Please prepare an air compressor with a φ6mm air tube to be connected to the filter regulator of the rejector. The following files are available for download for the checkweigher system model AD-4961. Ensure you select the correct documentation for your unit’s software version. Check back regularly for software and other updates.